Officials from Harare-based Oketex Investments have revealed to Saturday Leisure that they will seal a deal on Monday with Nollywood to shoot a Zimbabwean movie which will feature 70 percent of actors from Zimbabwe and 30 percent actors from Nigeria. Speaking in an interview with http://www.nollywoodgists.com, Oketex Investments director, AG Okereke, said they were working on a Zimbabwean movie with actors from Nollywood so as to boost the Zimbabwean movie industry. “We noticed that Zimbabwe did not have much local movies so we decided to work on a local movie which will feature 70 percent of actors from Zimbabwe and 30 percent of actors from Nigeria (Nollywood),” said AG. He added that they decided to include actors from Nigeria after noticing that Nigerian movies and actors were popular in Zimbabwe as most Zimbabweans liked watching African movies and preferred them to the local ones. “We decided to include actors from Nigeria after noticing that they were quite popular in the country. Before the movie, we will bring in some of the actors into the country so that they get a chance to meet their Zimbabwean fans,” said AG. After sealing the deal, Oketex Investments will now be able to distribute African movies in and around Zimbabwe and Nollywood will also be able to distribute Zimbabwean movies. 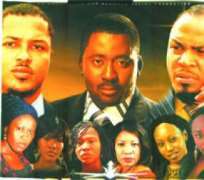 The Nigerian actors will be able to act in Zimbabwean movies. AG added that by the end of next week after sealing the deal, they would have the names of the Zimbabwean actors who will act in the movie and also the Nollywood actors. The Nollywood president, Ejike Asiegbu, is expected in the country today though the deal will be sealed on Monday morning. Asked why they were working on the movie, AG said he wanted to help expose local talent and also create employment. “We are working on this movie so as to create employment for Zimbabwean actors who are slowly leaving the country to act in other countries especially South Africa. We want to help expose the talent that the Zimbabwean actors have because the movie is going to go far like the Nollywood movies when it is complete,” said AG. He added that they wanted to have an exchange programme hence the mixture of Nollywood and Zimbabwean actors as they wanted to unite people through entertainment. Oketex Investments, which has been operating in Harare for the past eight years, has been doing well and has been supporting arts projects in Zimbabwe as they are also the sponsors of the Miss Tourism Zimbabwe queen's Mercedes E200 car. “We noticed that there was a need to give the Miss Tourism Zimbabwe queen and her princesses a car to use during their reign as they will greatly need the car as they are now ambassadors,” said AG. AG said they would not stop supporting arts projects in Zimbabwe and were willing to assist at any time in any way possible.